Dianne Freeman is a life-long book lover who left the world of corporate finance to pursue her passion for writing. After co-authoring the non-fiction book, Haunted Highway, The Spirits of Route 66, she realized her true love was fiction, historical mystery in particular. She also realized she didn’t like winter very much so now she and her husband pursue the endless summer by splitting their time between Michigan and Arizona. 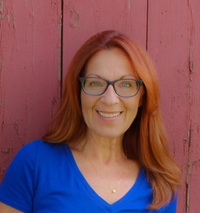 She's been nominated for an Agatha and the prestigious Mary Higgins Clark Award, and won the 2019 Lefty Award for Best Debut Mystery. To ask Dianne Freeman questions, please sign up. Frances Wynn and the Countess of Harleigh mysteries were inspired in part by the real American heiresses who, between the mid-1870s and around 1910, contracted over 400 transatlantic marriages with British peers. It seemed fitting to introduce some of those heiresses in a series of blog posts and I’d like to start with one of my favorites, Consuelo Yznaga.
" Therese wrote: "Great idea - thanks for sharing!" Glad you enjoyed it! "